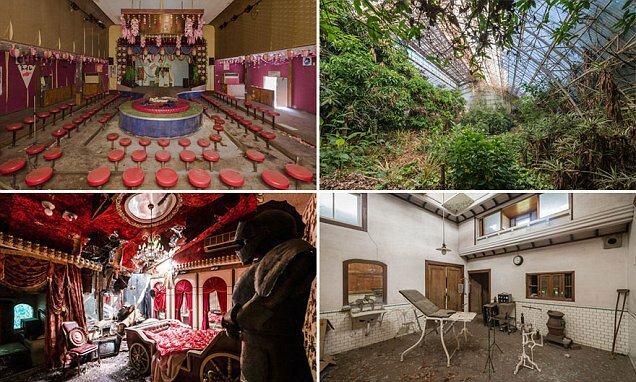 Japan is a country known for being clean and hi-tech, but these images show another, eerie side to it - hotels, schools, theme parks and strip clubs that have been left to rack and ruin. The creepy pictures were snapped by French photographer Romain Veillon, who travelled to the country almost two years ago to seek out fascinating derelict buildings, which he has a passion for. While there, he discovered buildings that had been left untouched since the day they were abandoned.